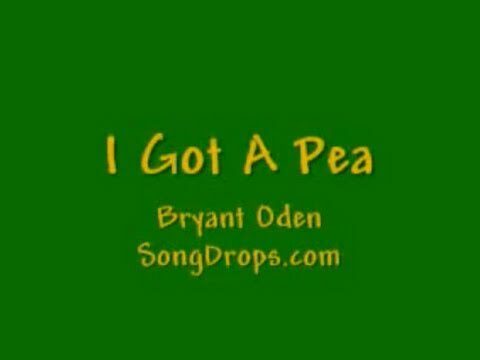 Funny songs: I Got a Pea (I Gotta Pea), a funny song by Bryant Oden. (Songdrops). On the CD: "The Songdrops Collection, Vol. 1." she let me bring some veggies here to school. I gotta pea, I gotta pea. Why is everyone laughing at me? So If you find a little pea on the floor after I leave I think it probably belongs to me. Yes if you find a little pea on the floor after I leave I think it probably belongs to me.